The City of Johnstown fire department is committed to the protection of life, property and the environment. As an emergency response and community service organization our goals are to limit the risk of fire, to limit injury and property damage associated with fire, explosions, hazardous materials incidents, storms or other natural and technological emergencies; to prepare City forces for disaster response, and to better prepare the community for self help in the event of a major disaster. 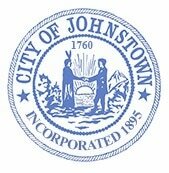 For more information about the City of Johnstown Fire Department visit their website here.